Your financial desires and ambitions are the number one priority for the team at Towner Finance and no stone is left unturned to ensure the financial solutions we negotiate for you are tailored specifically for your situation and afford you the flexibility to accelerate your journey to financial success. Have we been doing it long? 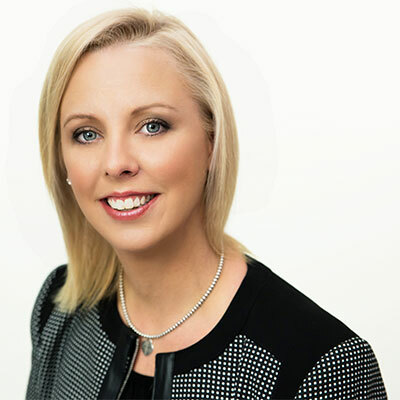 Thrilling people with her caring, friendly nature and ability to turn home ownership or property investment dreams into reality is something Michelle Towner has excelled at since joining the finance industry in 2001. Michelle's capacity and success in these endeavours is evidenced by the consistent acknowledgement of her contemporaries as there are too many national industry awards and accolades to list. From 2003 to 2015 Michelle was a director and owner of the 2nd largest entity within a 'household name' franchise mortgage broking network. Founded on a solid foundation of experience and thousands of satisfied, loyal customers, Towner Finance was launched in 2016 by Michelle Towner and her husband Marcus. Adept and knowledgeable at identifying and negotiating complex property finance solutions, often comprising multiple residential or commercial properties or lending to self-managed superannuation funds, our customer base encompasses seasoned investors and people taking the first steps on their property ownership journeys alike. How do we roll (what do we stand for)? Sometimes the most suitable deal is the one you don't take... yet. One of our most consistent referral channels is people we advise not to jump just yet. Instead we work with them to develop clear strategies for increasing savings or reducing debt and/or household expenditure before taking the leap to home ownership or expansion of their property portfolio. These appreciative people inevitably come back as loyal customers for life who tell everyone they know about the sincere service and honest advice provided by Towner Finance. This genuine care and interest in your success is in the DNA of how the team at Towner Finance operates. The advantages of our network? Having been at the pinnacle of the finance industry since 2001, we have direct links and strong relationships with people of influence within each of lenders with whom we deal. This benefits you greatly because Towner Finance is often able to negotiate or uncover financial solutions or offers that may be impossible to acquire by approaching a given lender yourself. It also means we can call in a few favours to push things along if required. What can we help you acquire? What does it cost to take advantage of our expertise? Zero. Nada. Zip. Taking advantage of our expertise and connections costs you nothing. The lenders show us their appreciation for introducing your loan. Get in touch today... you will be glad you did!